“Celebrity,” John Updike famously wrote, “is a mask that eats into the face.” But celebrity among writers is a strange thing. We’re long past the point where a novelist can singlehandedly turn the temper of his or her time, as Norman Mailer and others of his generation once believed was possible, but a handful of authors do become celebrities of a certain limited kind. We see short news items, as James Parker notes of Martin Amis in The Atlantic, when they change agents or apartments, and their features become reasonably familiar to us from dust jacket photos or the staged shots from the New York Times Book Review. I’ve gone through countless author headshots while preparing my Quotes of the Day, and it’s a little funny how often the same props reappear: the desk, the bookshelf, the cigarette. Photographers seem eager to pose novelists among the tools of their trade, as if in response to how opaque a writer’s work can seem from the outside; Kanye West doesn’t need to stand in front of an 808 to remind us of what he does for a living, but with most authors, we need a visual cue to let us know why this pale, pasty person is looking out at us from a magazine. The one good thing about becoming a famous writer is that you can exist as a figure of intense importance to a wide circle of readers without being harassed on the street. John Lahr’s recent New Yorker profile of Al Pacino emphasizes how grindingly strange a life of real fame can be: “I haven’t been in a grocery store or ridden the subway in fifty years,” Pacino says. For a serious actor, this kind of alienation from ordinary life can be a handicap; if every interaction is skewed from the start, it’s hard to remember when it was ever anything else. Writers, for the most part, can go shopping or ride public transportation incognito, and even an author whose work saturates airport bookstores probably has little trouble making it onto the plane. I’m not sure I could pick John Grisham out of a crowd. The number of Americans who have finished a novel by Stephen King pales in comparison to those who watch LeBron James play basketball on any given night. We tend to compare literary success to its peers, not to the larger culture, so it’s easy to forget that 100,000 copies in hardcover—which made a phenomenon out of Jonathan Safran Foer—amounts to 0.03% of this country’s population. Oddly, it’s the faces of literary novelists that we seem to see the most, even if their sales aren’t nearly at the level of their mainstream counterparts. 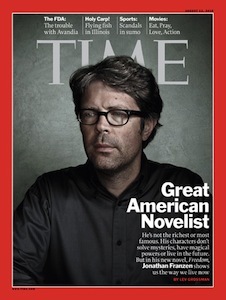 More of us would recognize Jonathan Franzen at Zabar’s than James Patterson. This is partially because of the logic of a career in literary fiction, in which reviews, interviews, awards, and teaching serve to offset scanty sales, and partially thanks to the nature of that kind of writing itself, which turns the voice of the author into a selling point. I’m not particularly interested in who Thomas Harris or Frederick Forsyth “is,” as long as they write compelling stories in which the authorial viewpoint almost disappears; but the work of writers like Updike or Mailer or Bellow is inseparable from the personality it expresses. We’re more curious about the face behind a book like Infinite Jest than The Da Vinci Code, and if it’s true that we all end up with the faces we deserve, it’s no surprise that literary writers look a little more haggard and interesting. Even then, I don’t know how often they’re accosted by fans. I had my share of celebrity sightings in seven years in New York, but I don’t think I’ve ever randomly recognized an author I knew. Yet the hunger for fame, even if it’s only within a select sliver of the reading world, still drives a lot of writers. We measure ourselves against the the outliers, forgetting all the while that we’ve only heard of them because they’re exceptional, and forget all the others toiling away in obscurity. This isn’t necessarily a bad thing: writing is so punishing a profession in other ways that it takes a powerful immediate desire to carry an author with a realistic idea of his talents from one day to the next, whether it’s the promise of sexual conquest, revenge on imagined enemies, or even money. Celebrity is probably a healthier notion than most of these, especially because the version of it even a major author receives is so illusory. As I’ve said before, writing any book, even a bad one, requires that the author think that he’s a little better and more exceptional than he really is, and if most of us end up somewhere in the middle, it’s only because we aimed at a high mark and fell short. Fame, for authors, doesn’t really exist in the same way it does in other fields; it may never have existed at all. But it’s a useful fiction, and without it, we might not have other kinds of fiction at all. Recently, I’ve become increasingly intrigued by the parallels between writing and entrepreneurship. At first glance, of course, the comparison seems ridiculous: the personality types drawn by these two professions couldn’t be more dissimilar—at the very least, they attract two different kinds of nerds—and it’s not as if we see a lot of productive crossover between the two fields. But hear me out. Being a novelist and founding a startup are things that many people dream of doing, but few make the leap to seeing through. Both start with inspiration and end with the painstaking work of solving tedious problems on a daily basis. Both careers probably seem more glamorous than they actually are. For every success story, there are hundreds of unseen failures—and a few highly visible ones. And in both fields, the single greatest predictor of success, as far as I can tell, is whether one has quit one’s day job. I can’t argue with that last point. All the same, the more I write, the more I think relentless resourcefulness is exactly what a writer needs, and that the obstacles involved are, in fact, as much external as internal. This isn’t necessarily the case early in a writing project, when you’re looking at the world, and within yourself, in search of material: at that stage, the necessary quality is, as Graham notes, to be “actively curious.” But once you’ve committed to a project, and are up to your knees in a specific narrative, the problems you’re solving start to feel very external indeed: how to introduce backstory, how to sequence a series of scenes, how to create and sustain momentum, even how to get characters into—or out of—a room. And while the ultimate goal is to create something both personal and of universal interest, the only way to get there is by being crafty, tactical, and resourceful. This applies to literary fiction as much as to genre work. 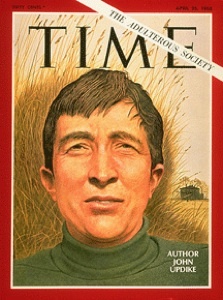 When I think of writers for whom the phrase “relentlessly resourceful” feels appropriate, the first to come to mind is John Updike, who, at his best, seemed capable of almost anything. Indeed, with Updike, there’s often the sense that his resourcefulness has become an end in itself, rather than the means, as he shows off his versatility across a wide range of characters and subjects. You can see the same kind of showy resourcefulness in someone like Amis, Franzen, or David Mitchell. In general, though, we should revel in our resourcefulness in private, while never revealing it to our readers. If an entrepreneur’s goal is to make something that people want, without ever noticing the effort that went into its creation, the goal of the novelist, however ingenious, should be to create an organic, inevitable piece of story that seems like it wrote itself. But in both cases, as Graham notes, being relentlessly resourceful is the only way to get there. There are two kinds of titles—two grades, two orders. The first kind of title decides on a name for something that is already there. The second kind of title is present all along; it lives and breathes, or it tries, on every page. If you’re tearing out your hair trying to find the perfect title for a novel or short story, take comfort: you’re not alone. Hemingway considered dozens of potential titles after finishing For Whom the Bell Tolls, narrowly rejecting The Undiscovered Country, much to Nicholas Meyer’s relief. Umberto Eco wanted to call his most famous novel Adso of Melk or The Abbey of the Crime. Martin Amis claims to have weighed the titles Millennium, The Murderee, and Time’s Arrow, the last of which he later repurposed, before finally deciding on London Fields. Similarly, Cameron Crowe almost called his ’70s rock movie Vanilla Sky, tried unsuccessfully to convince the studio to let him go with Untitled, and finally settled on Almost Famous—which is proof that the process doesn’t always work as it should. When you’re searching for a title, the obvious first step, which I’ve often neglected myself, is to ask what the novel is trying to tell you. At its best, a title is a sly expression of the novel’s theme, but indirect, and open to more than one interpretation, which is something you can’t accomplish without looking hard at the story itself. Last week, when I was asked to come up with a new title for my second novel (which had already been called Midrash, Merkabah, and House of Passages), it took me days of frantic brainstorming before I asked myself one simple question: what is the story about? In my case, the novel—while naturally covering a lot of other ground—is primarily about the problem of living in a world in which God has fallen silent. From there, I was led into the theme of spiritual exile, and at that point, the perfect title was just around the corner. At the time, though, I didn’t know this. Instead, I pushed ahead with my earlier strategy: casting about wildly in all directions. I was mildly obsessed with the multiple meanings of the word passage, which could evoke a section in a book, a way through a house or mountain range, or a ritual moment in one’s life. For a long time, then, my titles were variations on The Secret Passage or The Silent Passage. I went through the entire thesaurus, looking for potential adjectives, and wrote down interesting words from the books on my shelves, from lists of great thrillers, even from the IMDb top 250. Some of the results, which I jotted down in no particular order, can be seen on this page. But it wasn’t until I let go of the precious word passage, and allowed myself to look at other possibilities, that I was able to break out of my rut. Go carefully through your novel, either in print or in your head, and pick out a handful of words and phrases that seem expressive of the story’s primary theme. Cast your net wide, looking at every source you can find—books of quotations, poetry, the titles of other books or movies—looking for words that strike you as meaningful, resonant, or simply interesting. Don’t overthink it too much: just write everything down. For a novel, it isn’t too much to spend an entire day on this stage. Finally, relax, look at the lists you’ve developed, and see what happens. Don’t force it. Sooner or later, some combination of words, or even a single word, will seem just right—but only if you’ve abandoned your preconceptions about what your title should be. In my own case, this was exactly what happened. Keeping the concept of exile in mind, I went haphazardly through my other lists until I saw, near the top of the page, the word city. Within a few seconds, I knew that I had my title—even if it took a day or two and several emails with my editor before the change was official. Whether it’s the best title for this novel, or even a good title, I can’t say. And a great title doesn’t always mean a good book, or vice versa. But for all the hard work and frustration it took to get here, I’m very glad that this novel will be called City of Exiles. Oh, I get it, it’s very clever. How’s that working out for you? Earlier this week, I finally finished London Fields by Martin Amis, a novel that I grudgingly respected and intensely disliked. Amis is undoubtedly a genius, and the level of craft on display here is often stunning, but the deliberate flatness of its lovingly caricatured characters and its endless hammering away at a handful of themes makes it feel like reading the same smug, acerbic, glitteringly intelligent page five hundred times in a row. By the end, I was almost physically exhausted by the relentless progression of setup, punchline, setup, punchline, and the result, like Amis’s The Information, strikes me as a work of great misdirected talent. For all its ambition, it ultimately exemplifies, more than anything else, what Amis’s father Kingsley once called the “terrible compulsive vividness in his style…that constant demonstrating of his command of English.” And, I might add, of his cleverness. I’m a bit of a grinder. Novels are very long, and long novels are very, very long. It’s just a hell of a lot of man-hours. I tend to just go in there, and if it comes, it comes. A morning when I write not a single word doesn’t worry me too much. If I come up against a brick wall, I’ll just go and play snooker or something or sleep on it, and my subconscious will fix it for me. Usually, it’s a journey without maps but a journey with a destination, so I know how it’s going to begin and I know how it’s going to end, but I don’t know how I’m going to get from one to the other. That, really, is the struggle of the novel. Except for the always astonishing Book of the Thousand Nights and One Night (which the English, equally beautifully, called The Arabian Nights) I believe that it is safe to say that the most celebrated works of world literature have the worst titles. For example, it is difficult to conceive of a more opaque and visionless title than The Ingenious Knight Don Quixote of La Mancha, although one must grant that The Sorrows of Young Werther and Crime and Punishment are almost as dreadful. From among my own favorites, I need only mention In Search of Lost Time—the greatest novel ever written, as well as perhaps the most embarrassing title—and any of Updike’s Rabbit or Bech books. (Rabbit Redux may be the ugliest title I’ve ever seen, although there are plenty of competitors, including Bech: A Book.) There are, of course, exceptions: Gravity’s Rainbow is hard to beat for a title that is beautiful, relevant, and evocative. Other good ones: Pale Fire, House of Leaves, The Name of the Rose (which the author cheerfully admits was meant to be meaningless). But in general, it’s safe to say that most great books have terrible titles. Nothing happened to me, Officer Starling. I happened. You can’t reduce me to a set of influences. Yesterday I mentioned The Silence of the Lambs as a book that any aspiring writer might want to study to see how, exactly, it works, and with good reason: it’s possibly the most perfect thriller ever written. One could also read, with profit, the two earliest novels by Thomas Harris: Black Sunday is a fine, underrated book, and Red Dragon, though it has some structural problems, is still astonishing. Yet Hannibal, his fourth novel, should be approached with caution, and Hannibal Rising should best be avoided altogether. And the story of how Harris went from being the finest suspense novelist in the world to a shadow of his former self is an instructive cautionary tale. Harris began his career as a crime writer for the Associated Press, and his background in journalism—like that of Frederick Forsyth, my other favorite suspense novelist—is evident in his earliest novels. Black Sunday is full of fascinating reportage, while Red Dragon and The Silence of the Lambs are virtual textbooks on forensic profiling and criminal investigation. 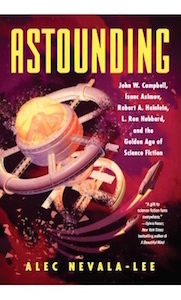 (While I was writing The Icon Thief, I was almost always rereading one of those three books, along with the best of Forsyth and James M. Cain.) Harris’s writing could be baroque, but he also had a nice ear for technical jargon, and a sense of how smart cops and FBI agents might talk among themselves. None of these things would have made so great an impact, however, if Harris hadn’t also created Hannibal Lecter, the most vivid and enduring fictional character of the past thirty years. And the really impressive thing is that Lecter originally appeared in only a handful of chapters in Red Dragon and perhaps a quarter of the pages in The Silence of the Lambs. (Anthony Hopkins’s performance in the movie version of the latter consists of only eighteen minutes of screen time.) We don’t learn much about Lecter, we see him only briefly, but we—and the other characters—spend a lot of time thinking and talking about him when he isn’t onstage. And this is crucial to his character’s appeal. The character of Rick [in Casablanca], of course, is very old—he’s the Byronic hero, the tall dark handsome man with a past. Because, you see, there’s nothing to them. Try and make them full, try and make them real, and guess what? They disappear. …Hollywood heroes must have mystery. Which applies just as much to Lecter, if not more so. It also applies to many of the most popular characters in fiction, who exist entirely in the moment. For all the valiant efforts of Sherlockians, we know almost nothing about the past of Sherlock Holmes. Forsyth’s Jackal doesn’t even have a name. And while it isn’t necessary for every novelist to go so far, remember this: backstory can be deadly. The primary interest of a fictional character comes from what he does, or doesn’t do, in the story itself, not from what happened to him before the story began. Character comes from action. If you’ve written a compelling character, of course, readers are naturally going to want more backstory, which is great—but that doesn’t mean you should give it to them. Which is precisely where Harris went wrong. In Hannibal, and even more so with Hannibal Rising, Harris forgot that his most famous character absolutely needed to remain a mystery. Lecter was the breakout star of the series, after all, and readers clearly wanted to see more of him. So Harris turned Lecter into the lead, rather than a key supporting character, gave him a massive backstory involving Nazis, cannibalism, and a castle in Lithuania, and finally made him, in Hannibal Rising, almost entirely admirable and heroic. To use Martin Amis’s memorable phrase, Harris had “gone gay” for Lecter. And the series never recovered. I still hope that Harris comes back and writes another amazing novel. I really do. Even Hannibal, for all its problems, has remarkable moments (although Hannibal Rising is almost entirely worthless). All the same, it’s been four years since we saw a new book from Harris, a notoriously slow and methodical writer, and there hasn’t been a whisper of another project. And the pressure to write another Hannibal Lecter novel must be tremendous. But I hope he resists it. Because an ambitious new thriller by Harris without Lecter would be the literary event of the year, maybe the decade. While another Lecter novel would be thin gruel indeed.